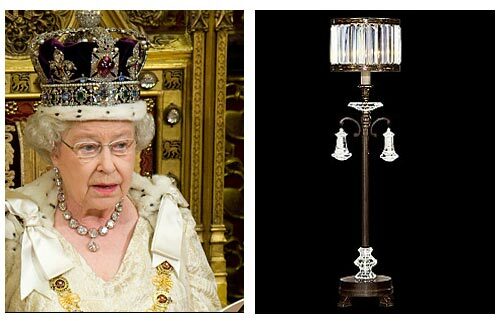 In honor of the royal wedding, I’ve paired a few of the famous royals with their floor lamp doppelgangers. See if you agree, and be sure to comment with your own! 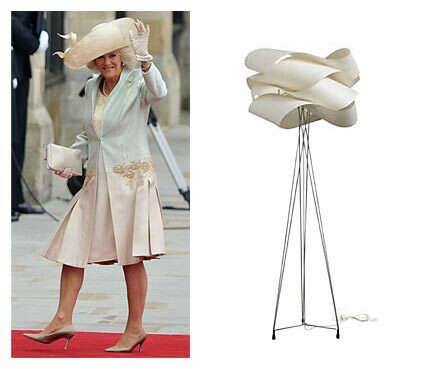 We’re perpetually cursed blessed with lighting brain around here, and with last week’s Royal Wedding still making headlines, I couldn’t help but pair a few of the famous royals with their floor lamp Doppelganger. See if you agree, and be sure to comment with your own! 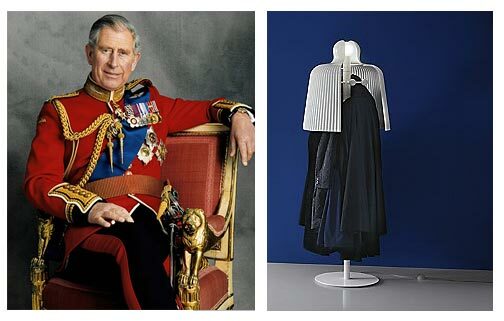 Prince Charles is paired with the Tabard Floor Lamp by Pallucco — who says chivalry is dead? Hey, height isn’t everything. Queen Elizabeth II wows as the traditional, no-nonsense Eaton Place No. 606215 Table Lamp by Fine Art Lamps. 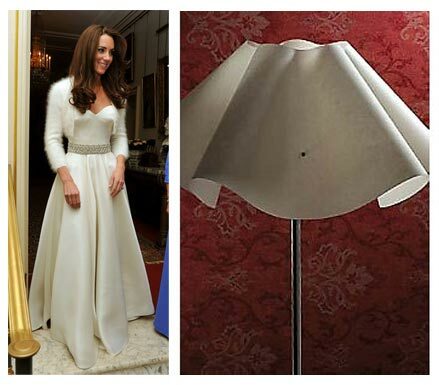 Kate looks lovely as the minimalist yet oh-so-elegant Camelia Floor Lamp by B.Lux. 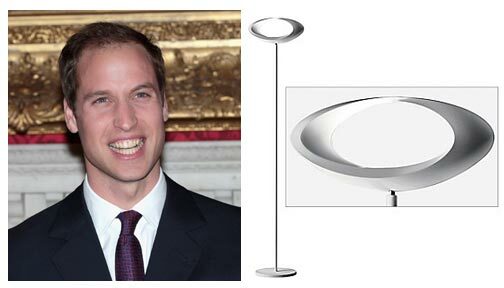 And believe it or not, here’s Prince William channeling the Cabildo Floor Lamp by Artemide. Yeah, it’s sort of got a goofy smile, but hey — it’s a best seller. This is too funny! 🙂 What a fun idea. 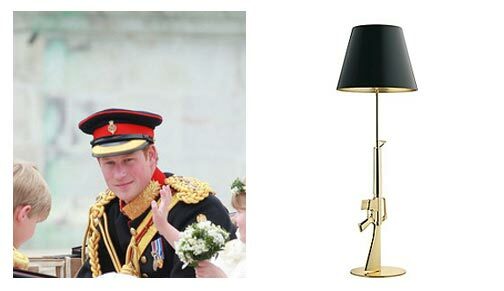 The floor lamp Doppelgangers resemble each member of the royal family perfectly.